I’ve never been a cat person, myself. They just seem a bit too contemptuous as a species. 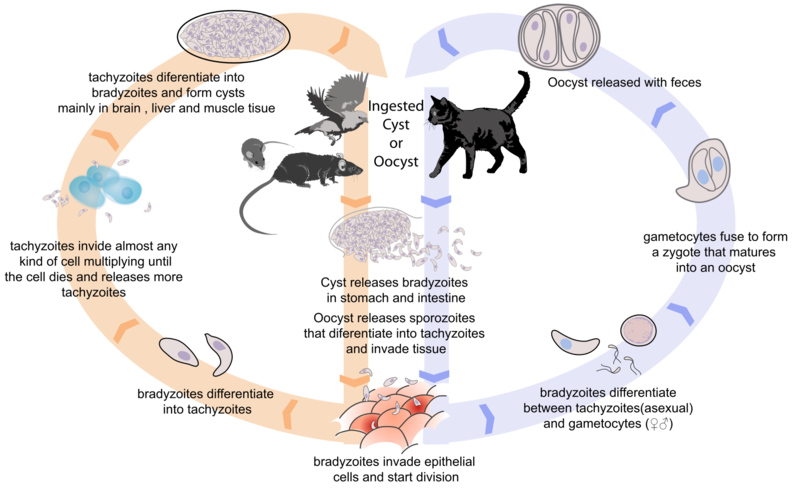 Cats, aside from being aloof, clawed, and kind of mean, also form a necessary part in the life cycle of a single-celled protozoan called Toxoplasma gondii. This sneaky parasite can only reproduce in feline intestines but also finds its way into the tissues of pretty much all warm-blooded mammals. Its reach seems almost limitless and extends to more than half of the world’s bears, birds, cattle, cats, domestic chickens, deer, dogs, domestic geese, goats, mice, pigs, rabbits, rats, sea otters, sheep, and humans. And those are only the populations that were studied. Ever heard the expression that glitter is the herpes of the craft world because it gets everywhere? More accurately, glitter is the T. gondii of the craft world. I call it sneaky because T. gondii has been shown to alter the behaviour of its rodent hosts in order to make it more likely to be ingested. The physical mechanism for this is still under investigation and largely unknown but there are two interesting experiments worth noting. 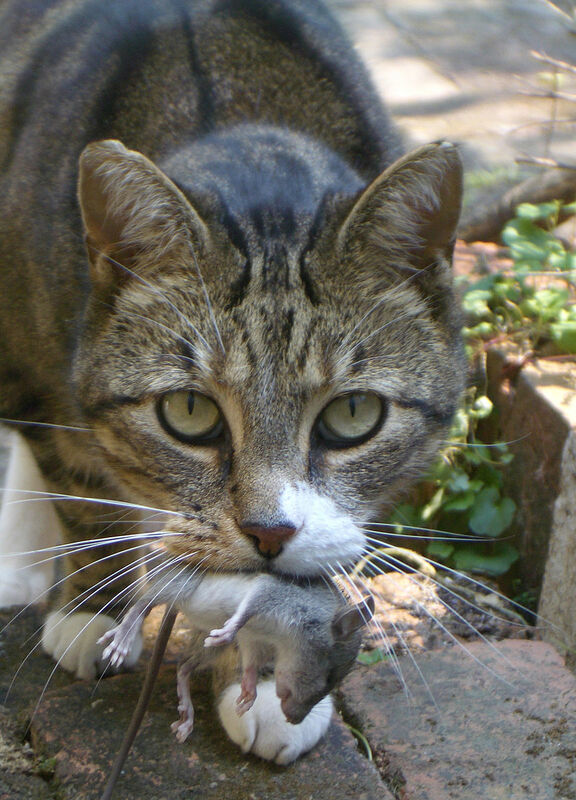 The first found that rodents infected with T. gondii are more active and more excited about new places, making them more likely to be noticed (and eaten) by cats. The second purports that rodent brain chemistry is altered so that the unfortunate rats finds the scent of cat pee sexually attractive. The scientific paper which explains this second theory is even titled “Fatal attraction in rats infected with Toxoplasma gondii”. A lesson for rodents: don’t listen to the parasite in your brain. Cat pee IS NOT ATTRACTIVE! So we’re pretty confident that T. gondii can alter the behaviour of rodents, but what does it do to humans? For those with weak immune systems or for the pregnant, a T. gondii infection can cause acute toxoplasmosis, a potentially fatal disease characterised by swelling lymph nodes, sore muscles, and flu-like symptoms. I wouldn’t worry about that too much because it’s about as lethal as the flu for those with regular immune systems. 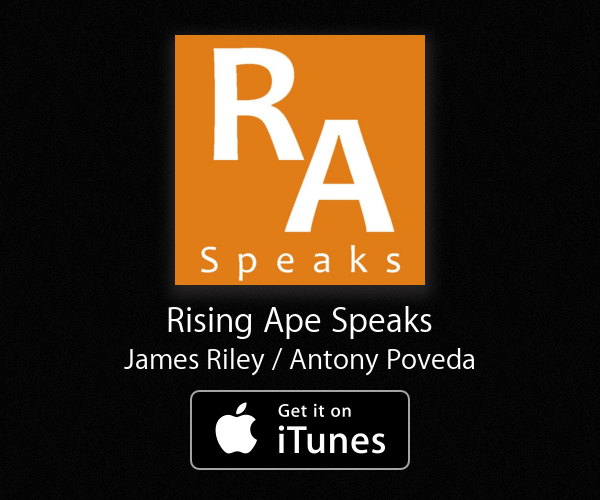 For the rest of us, infection with this parasite is largely asymptomatic. There’s no way to tell whether you’re infected or not without a blood test. Unless you ask Czech researcher Jaroslav Flegr. He, along with a growing number of scientists, believes there is enough evidence to show that latent toxoplasmosis makes humans more thrill-seeking. According to a 2012 paper in the Journal of Experimental Biology, infected individuals are more likely to get into traffic accidents, score differently on personality tests than un-infected individuals, and infected men are taller on average with more masculine facial features. Rodent and human brains are not so different, it turns out. 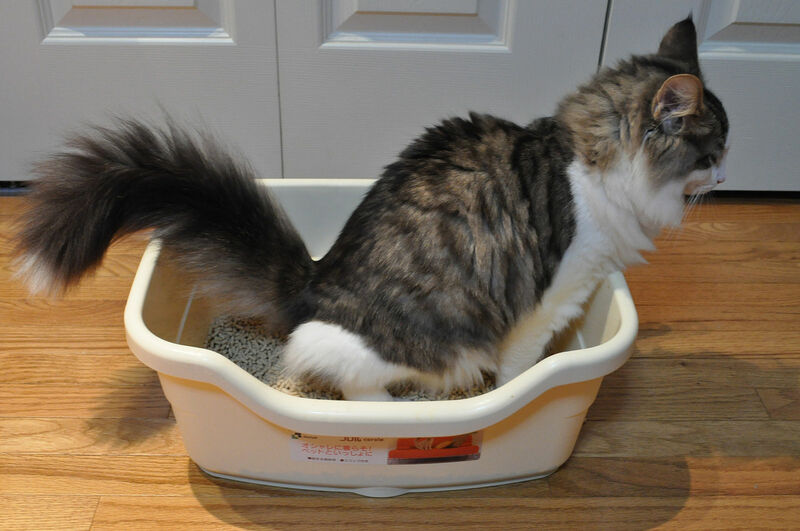 If your cat got infected and you happened to get exposed while cleaning out its litter box, chances are that you are infected. Your cat’s poo is likely changing your personality. If, like me, you don’t and have never owned a cat, that doesn’t mean you’re safe from infection. T. gondii is really good at getting into your body and making its way to the central nervous system, where it acts the puppetmaster and, expecting you to be a rodent, makes you excited about new environments. All this so that you can be eaten and it can reproduce.